Red Rock Casino, Resort and Spa is the multi-million dollar property located near Red Rock Canyon. It is accessible via Interstate 215 at Charleston Blvd., approximately 10 miles west of the Las Vegas Strip. The hotel is a 15-minute drive from McCarran International Airport. Red Rock's design is contemporary with desert-modern architecture. The 87,000-square-foot casino showcases slot and poker machines, table games and a race and sports book, a poker room, bingo parlor and a private high-limit room. With a 20 floor tower featuring over 800 rooms, guests staying on the top floors can experience spectacular views of the Strip and the Red Rock mountains. Standard room amenities include 42" high-definition televisions, iPod docking stations, automated private bars and 17" LCD televisions in the bathrooms. As for dining, Red Rock has nine restaurants and a food court, with most dining venues offering outdoor patio seating. The dining line-up ranges from Grand Cafe, Station Casinos' most popular 24 hour American dining bistro to T-Bones Chophouse, Masso Osteria, Yard House and Lucille's BBQ. Red Rock's 35,000-square-foot spa makes it one of the largest in Las Vegas. The spa has treatment rooms, special VIP suites with bathtubs for two and outdoor spa amenities that includes a lap pool and yoga garden. Enjoy a movie in the 16-screen movie theater, having a blast in the 72 lane bowling venue with VIP lanes. Red Rock has six bars and lounges. 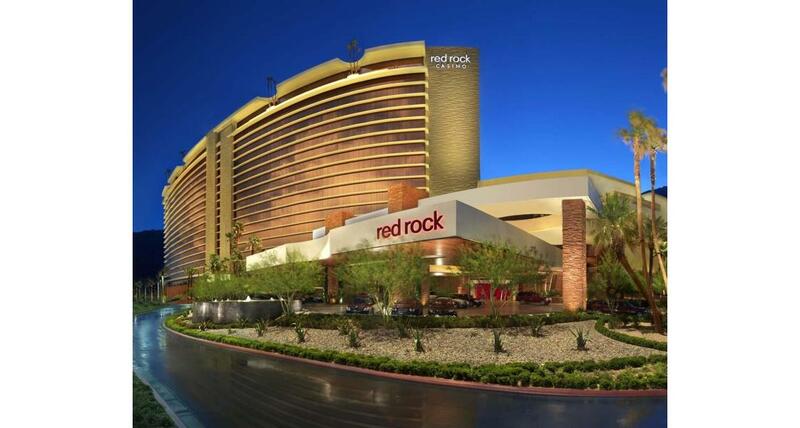 Finally, Red Rock's 3-acre backyard is the casino's centerpiece. The backyard offers a pool and beach area, cabanas and poolside gaming including swim-up blackjack tables. 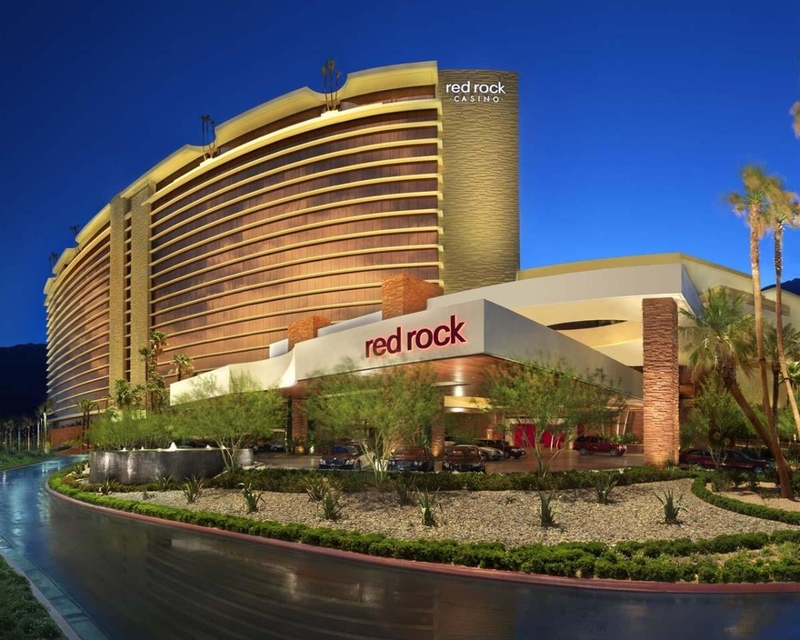 Red Rock is Station Casino's 15th property in Southern Nevada.